This fun Easter kit includes everything you need to make a fluffy Easter bunny and a cute little chick. 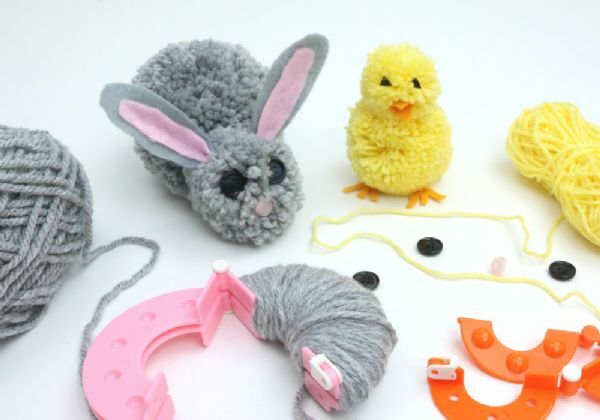 You can make at least two of each with one kit! Creating pom poms is a really easy way to create something from yarn, and with a little imagination and a few extras, you can use them to create lot of different things.